JUST PRINT BOTH OF THESE IMAGES & TAKE TO YOU FAVORITE PHARMACY…. YOU COULD SAVE $20 !!!! 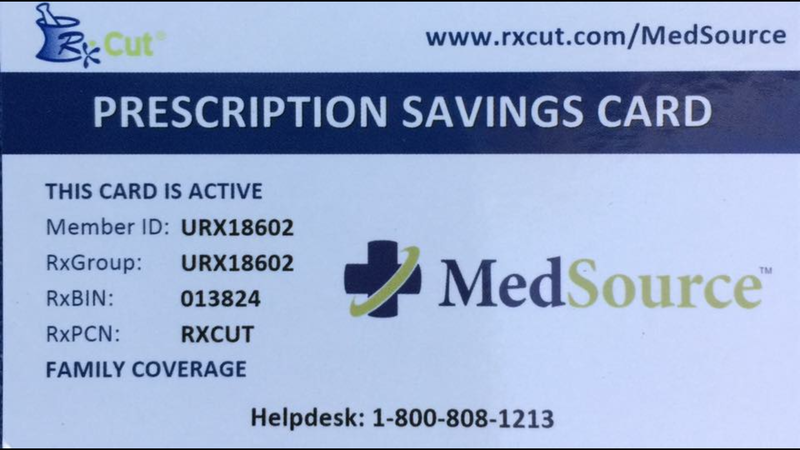 MedSource offers a Pharmacy Discount Care. 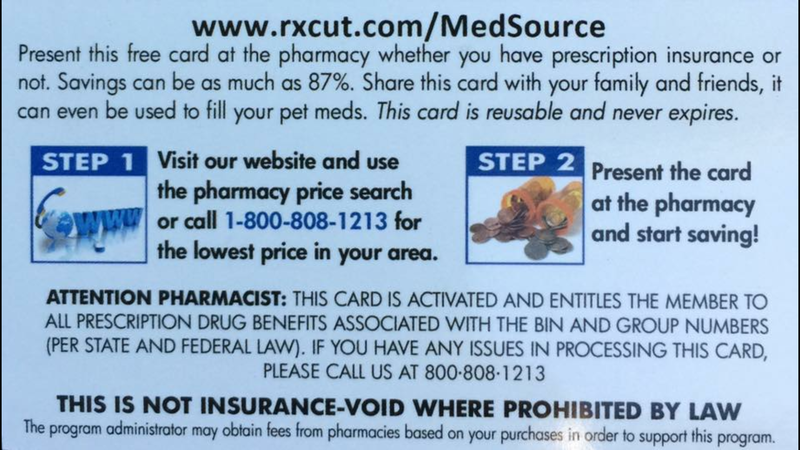 There are MANY cards lying around pharmacies and businesses, however our Card is a better benefit to patients. The average savings for our card is about $20.00 per patient. Most patients with a $10.00 copay that are prescribed Generic pharmaceuticals, benefit the most. Currently our highest savings is over $400.00 per month for a patient. Email us today and we will email you the card, or simply print these two images. #SAVEUP! MedSource can put your Entity name and logo on our card to maximize branding for your healthcare or business marketing practice.